In 2011 Dave Watson contacted me asking for parts for his 1000cc racer so I sent him lightweight 83mm pistons, bushless Carrillo rods and a JS stage 3 cam kit with lightweight radiused lifters. 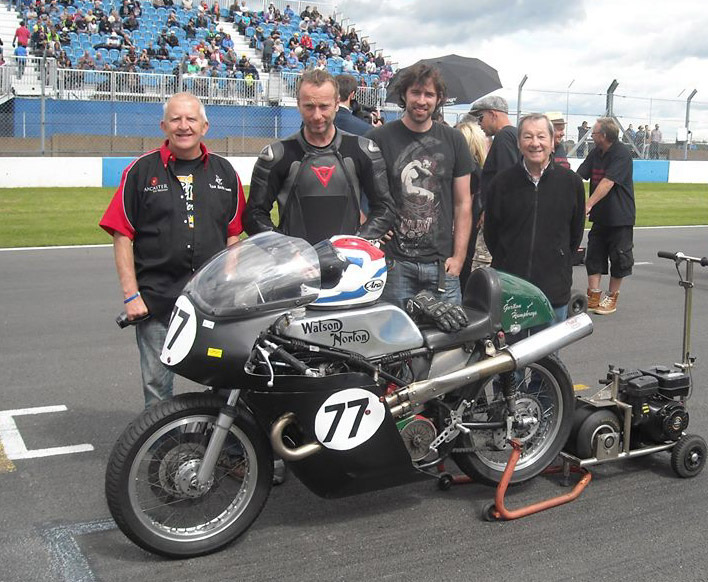 In 2012 he entered the seeley framed bike in the UK national 1300cc classic races with Gary Thwaites riding. 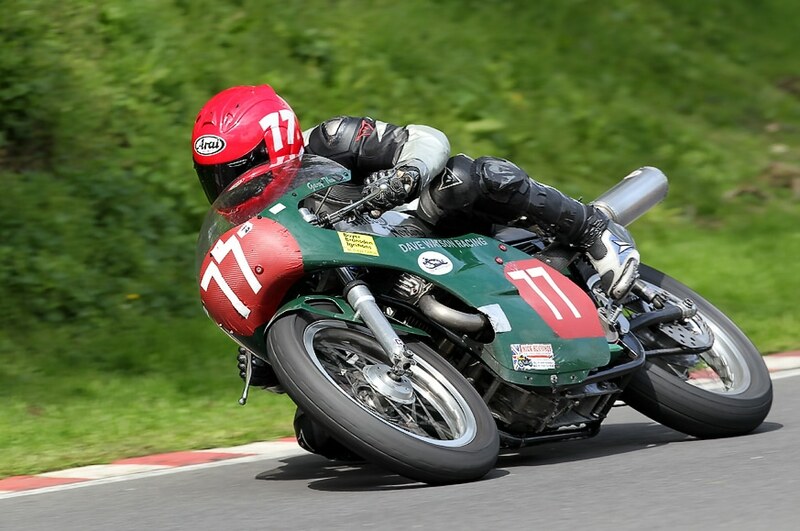 Gary won all seven national 1300cc classic races for the 2012 UK championship against Westlakes, triples and 4 cylinder classic racebikes. The lightweight pistons added 1300 RPM to the powerband. The lightweight radiused lifters and JS stage 3 cam helped eliminate the wear problems he was having with stock lifter flat tappet racing cams. He also switched to Castor R40 racing oil and there was no measurable wear on the cylinder bore at the end of the racing season. Its a remarkable achievement for an extreme race bike to finish and win all its races throughout the year with no wear showing on the internal parts. “Hi Jim, checked bore wear, no wear, 6 thou clearance, in fact the engine was perfect …. By the way we used to have problems with bore wear when we used fully synthetic race oil but since we changed to Caster R40 oil we have had no problems…The engine is much smoother and power up…we are well happy with the bike and all your gear that is inside the engine.” Tuner – Gordon Humphreys. Gary Thwaites, Dave Watson and crew adding a few more wins to their total. This 1007cc motor now has 40 races on it. All the JSM parts were retained including the pistons. The rings were replaced. 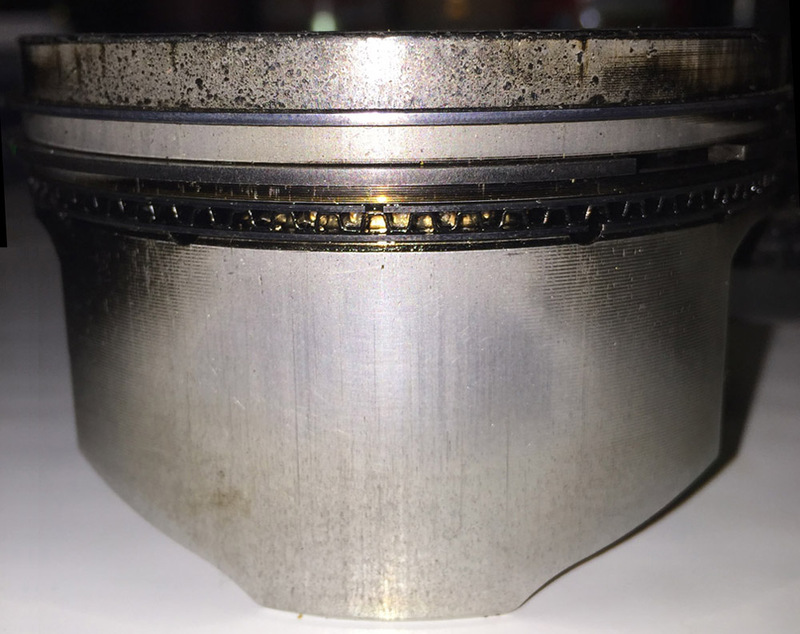 About bore wear (or the lack of it with heavy straight grade oil). 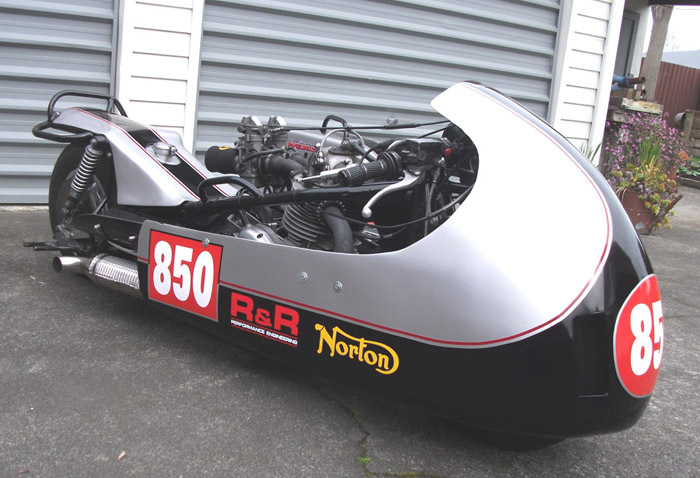 Robert Hood and passenger Mark Thompson won the New Zealand Classic Motorcycle Racing Register (NZMCRR) Post Classic Sidecar Championship in 2013, 2014 and 2015. JS 920cc lightweight pistons and longer rods. Maney cases and Barrels. One piece crank by Graham Martin in NZ. 36 mm Dellorto’s. 11.5:1 compression on methanol. 98.5 BHP at the back wheel.